European regulators have approved a new indication for Regeneron and Sanofi’s Praluent (alirocumab) to reduce cardiovascular risk in adults with established atherosclerotic CV disease (ASCVD). “Despite treatment with the current standard of care, including statins, many Europeans with established cardiovascular disease are still unable to control their cholesterol,” said George D. Yancopoulos, President and Chief Scientific Officer of Regeneron. “Many patients with atherosclerotic cardiovascular disease often struggle to control their high LDL-cholesterol levels, despite lifestyle modifications and treatment with statins, and some have already experienced cardiovascular events,” said John Reed, Global Head of Research & Development at Sanofi. 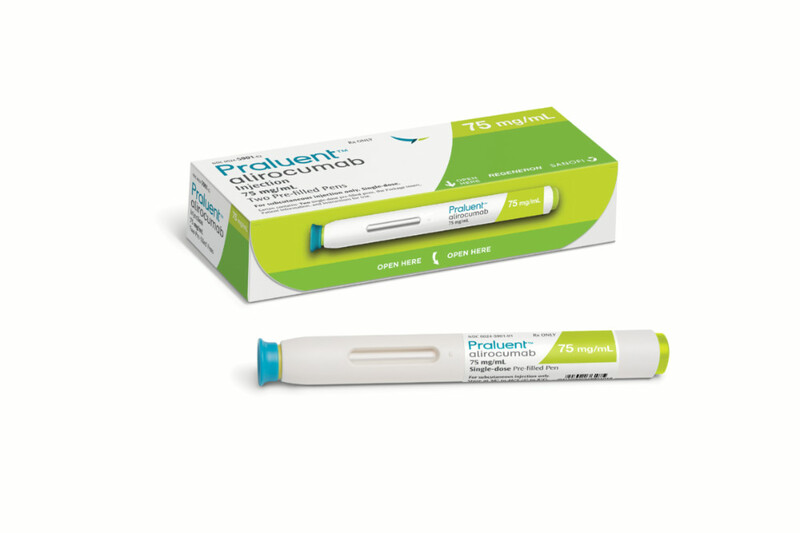 The EC approval is based on data from ODYSSEY OUTCOMES, a Phase 3 CV outcomes trial that assessed the effect of adding Praluent to maximally-tolerated statins in 18,924 patients who had an ACS between 1-12 months (median 2.6 months) before enrolling in the trial.